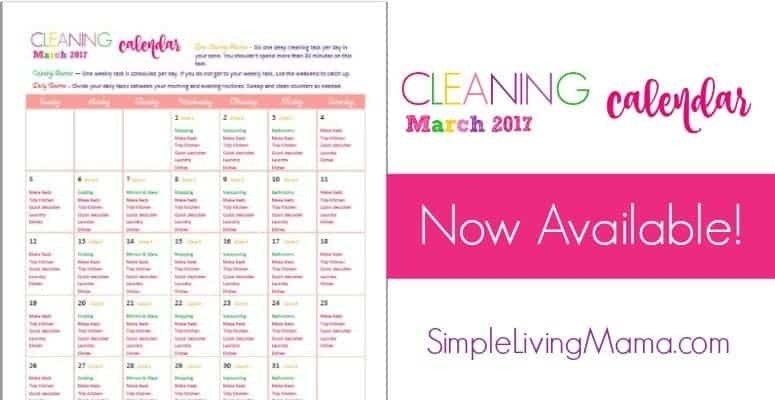 My free cleaning calendar for March is here and it’s ready to go! As promised, I am delivering a new cleaning calendar to you each month in 2017. I am really excited about my theme this year. It’s bright and bold and hopefully gets you in the mood to clean your house and keep up with your housekeeping routines! Are you interested in knowing how I create a cleaning routine? Each calendar includes one weekly task to do each day, daily tasks, and a weekly zone cleaning task. All in all, you shouldn’t spend more than 30 minutes per day on all of your cleaning tasks. The cleaning calendar lays out each task for you every day. You don’t have to plan or think about it. Just get it done! I decided to create these monthly cleaning calendars because I was struggling to keep up with my housework. I was tired and beyond overwhelmed by what seemed like an enormous amount of tasks before me. There are still days when I don’t check off every item on my calendar. You know what? That’s okay. I just do the next thing and make up any extra housework where I can. I encourage you to not allow this calendar to run your life. Rather, use it as a tool to accomplish your housework goals. Just continue doing the next thing! We can take control of our homes, ladies! Let’s do this! Need a different month? 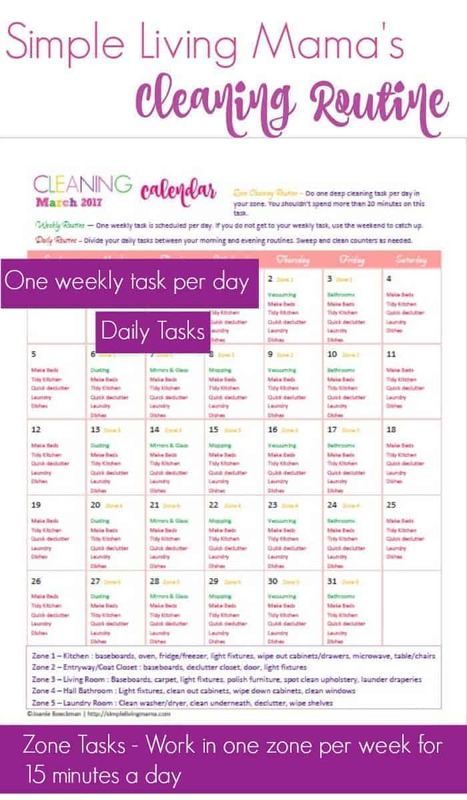 Go to my original post on the Monthly Cleaning Calendar to find the month you need!